California laws and rules regarding divorces are straightforward and do not require much insight. As is common in other states, California too has residency requirements for couples who want a divorce. The residency requirements for a California dissolution of marriage are clearly stated on the first page of the Petition form. The most important requirement for petitioners and respondents is that they must have stayed for a minimum of six months in California before they can get divorced. However, since not everyone can meet the criteria there are ways to go around the six-month residency requirement. A divorce can take place if either of the spouse meets the residency requirement of California. The form states that at least one spouse must meet the residency requirement for the divorce to take place. It becomes a bit complicated when neither of the spouse meets the six-month residency requirement. In California, the laws are clearly stated and avoiding or breaking them can result in severe punishment. One of the best options is to simply wait till the six-month residency requirement is fulfilled. Talk to your spouse and wait it out. It is useful for people who are nearing the requirement period and don’t want to wait too long for the divorce to take place. The other option is to file for a legal separation than a dissolution of marriage. That way you won’t have to stay with your spouse and once one of you reach the residency requirements, you can get a divorce. After you meet the six-month requirement, you can file for an amended petition and request the court to convert it into a divorce petition. By doing so, you immediately get access to the Family Law Court. 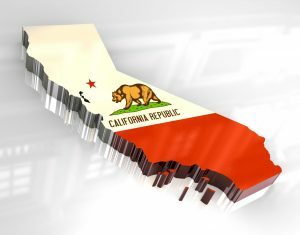 California has strict residency requirements and couples who want a divorce are expected to stay for at least six months before a divorce can take place. But many couples don’t meet the requirement but they still want a divorce to take place. The most common way to do it is to wait for the six-month period to get over. Additionally, couples can opt for legal separation and then get it converted into a divorce. However, it is best to consult an experienced divorce lawyer before going through a divorce proceeding.